Today is an X-MEN fan day. The feature movie X-MEN: Apocalypse will be joining our DVD libraries. Of course we buy them all. I spent four years living with these characters, so I have to keep track of them as they try new things. This is a day to celebrate the villain Apocalypse, only recently created in the books (1986, Simonson, Guice, Harras), but who seems a timeless presence. We loved writing for him because of the world-class voice we got (the late John Colicos) and because we so enjoyed giving depth, doubt, and introspection to a larger-than-life creature who was originally conceived as the incarnation of ruthlessness and destruction. The character Apocalypse has experienced 5000 years of humanity. What a vantage point to ponder the nature of existence! 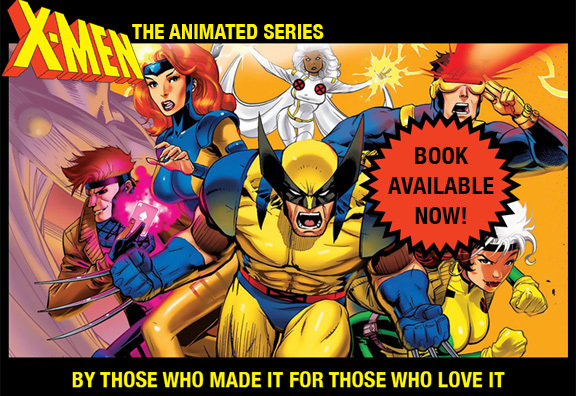 There will be arguments about the movie version of the character versus our X-MEN:TAS version. They are different art forms. There is room for both. Before you slip your new disc into the blue-ray player today, however, we thought you might enjoy a fabulous YouTube video that a fan (maninthemask) threw together using highlights of our Apocalypse from the show.